Last month in August 2018, the Telecom Regulatory Authority of India made recommendations for the pricing of new spectrum in the 700, 800, 900, 1800, 2100, 2300, 2500, 3300-3400 and 3400-3600 MHz bands. These pricing recommendations come at a crucial time when the industry is going through a phase change in terms of power and market shares. Not only that, among these bands, the Indian telecom regulator will also be auctioning 5G bands for the first time. These recommendations over reserve prices of the spectrum will bring in more airwaves for the telecom operators besides introducing the 5G technology in the country. It is noteworthy that in the last auction held in 2016, the 700Mhz premium band did not attract any bidders given its exorbitant pricing. All the other airwaves in other spectrum bands also received a response which wasn’t necessarily commendable. The exorbitant prices of this spectrum led to minute differences between the reserve prices and the final bid prices as well. A report published by industry body GSMA, also highlighted that reserve prices of spectrums in developing countries like India remain higher than in other countries. However, the high pricing of the spectrum amidst a financially devoid industry has caused the sector to be caught under a debt of $76.9billion thus slowing growth and development. Trai’s price estimation method based on factors like amount of spectrum available in different bands, expectations from the next round of auctions, band characteristics, amount of spectrum held by the bidder, state of the technology ecosystem, the business strategy and regulation such as spectrum caps per band or overall caps, rollout obligations, etc has influenced the trends in the past for these auctions. Technical efficiency is another factor which is taken into consideration by the regulator while estimating prices of the spectrum. Based on the same principle, the 700MHz band has been priced twice of what the 1800MHz spectrum sold for. Another factor deciding the pricing of this new spectrum is based on the winning of the 1800MHz spectrum. 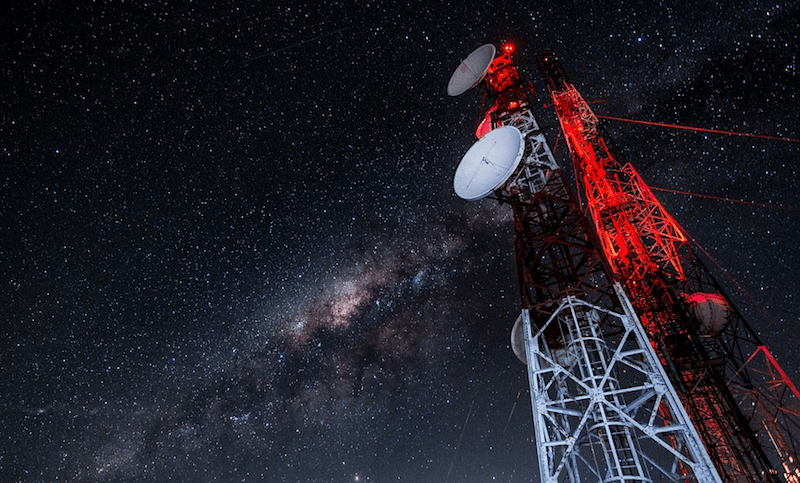 Despite the 1800MHz spectrum being an imperative one for 4G deployment, telcos are buying the 3300-3600MHz spectrum because it allows for coverage-capacity trade-off. The band also allows for higher coverage as compared to other 5G bands in higher frequencies. Another thing to note here is that the pricing of these 5G bands in India both in terms of purchasing power parity and exchange rates remains higher compared to what the prices are in other countries. Countries like Ireland, Spain, UK and South Korea, where the auction for 5G bands recently concluded listed the bands for a lower price than their Indian counterparts. Things become tougher for Indian telecom operators as the operators in most countries enjoy more bandwidth than those in India. In such a case, the higher pricing of the spectrum comes as an additional burden to the telcos. Since telcos have to deploy more equipment and technology to deal with the lower bandwidths, the costs for the entire ordeal become extremely high. On top of that, the telcos have to deal with problems like lower smartphone penetration, government levies, spectrum usage charges and much more, which present a stifling picture for the operators. Some other governments, like in Italy, are taking measures to ease up the situation by realising that some bands have not yet reached maturity. In Italy, the operators have been asked to pay only 20% of the total payment for the 700MHz band price while the rest payment has been deferred to 2022, which is the year the ecosystem is expected to stabilise. As per experts, the pricing of the spectrum should be kept as the fraction of the last auction price for allowing competitive bids. Lower SUC charges will also further reduce the pressure on telcos. With the sector headed towards consolidation and only three major telecom operators in the scene, combined with the high debt, there is a need for Trai to rationalise the reserve prices of the new spectrum. This is the result of overactivism of CAG during UPA. This trend started only after the so called 2G scam, government is trying to the golden goose and take all eggs at once. 5G needs tremendous investments for good coverage. So much so that US is talking about building shared 5G network across all operators. By pricing the 5G bands so high, government is ignoring this reality. Guess they need another no-bid shock to come down to reality.